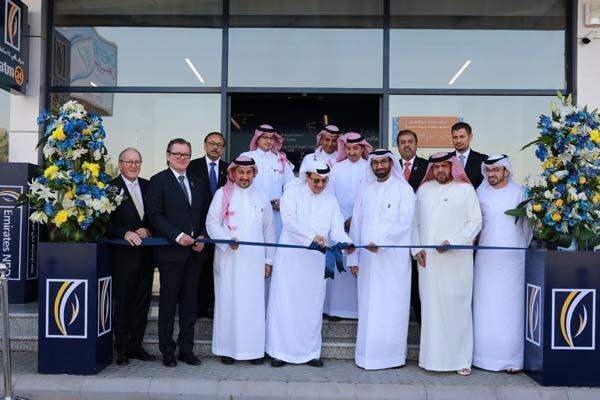 Emirates NBD, a leading banking group in the region, has opened its second branch in Saudi Arabia at capital Riyadh. The bank’s network of four full-fledged branches across the kingdom’s three key regions marks Saudi Arabia as its largest geographical presence outside the UAE and Egypt. Emirates NBD’s new branch in Riyadh’s Al Masif District was inaugurated by Ahmed Al Kholifey, Governor, Saudi Arabian Monetary Authority in the presence of Emirates NBD’s, Vice-Chairman and Managing Director, Hesham Abdulla Al Qassim; Group CEO, Shayne Nelson; Emirates NBD KSA CEO, Loai Abduljawad and other senior officials and members of the management From SAMA and Emirates NBD. The Riyadh branch provides a full offering to Saudi-based individual and businesses, including retail, private, business and wholesale banking. It incorporates Emirates NBD’s award-winning proposition with a modern, digital-driven design, convenient self-service banking solutions and personalised advisory area. In addition to retail banking, wealth management services and trade financing, the Emirati bank also offers corporate finance advisory, project and syndicated finance through its investment banking arm, Emirates NBD Capital KSA. “Our significant and growing network in the Kingdom is a reflection of our commitment to The Kingdom of Saudi Arabia and support for Vision 2030,” said Hesham Abdulla Al Qassim, Vice-Chairman and Managing Director of Emirates NBD. “Building on the strong economic and trade ties between The Kingdom of Saudi Arabia and the UAE, we hope to continue to serve and support the economic ambitions of Saudi individuals and businesses as the Kingdom forges ahead in its plans for economic transformation,” he added. With operations in Egypt, India, Singapore, and the United Kingdom and representative offices in China and Indonesia, Emirates NBD has a strong franchise in KSA’s key trade markets. The bank has played an active role in supporting Saudi’s Small and Medium Enterprise (SME) sector, via the Kingdom’s Kafalah financing program. “Emirates NBD’s investment in a robust full-fledged branch network across the kingdom’s key provinces, strengthens our offering to individuals and corporates in Saudi Arabia,” stated Abduljawad.